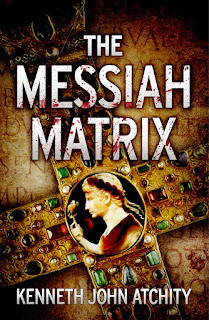 The newly published fiction novel, The Messiah Matrix by Kenneth John Atchity is a unique hybrid of a detective story, history, and religious fantasy tale in one story. Atchity serves up a large dose of religious conspiracy theory to satisfy the discriminating tastes of even the most paranoid, staunch atheist reader. The author goes into extensive detail describing a fictitious, yet well woven quasi-historical theory of the origins of the Roman Catholic Church and Jesus. In fact, the same readers that actually believed Dan Brown's intricate tales of church intrigue and conspiracy theories in the fictional novel, The Davinci Code, may be the very same gullible readers who may believe that Atchity's tale is in fact true. Because of its realism, I would advise impressionable individuals to pass this novel up as they may be easily led to believe it is true. 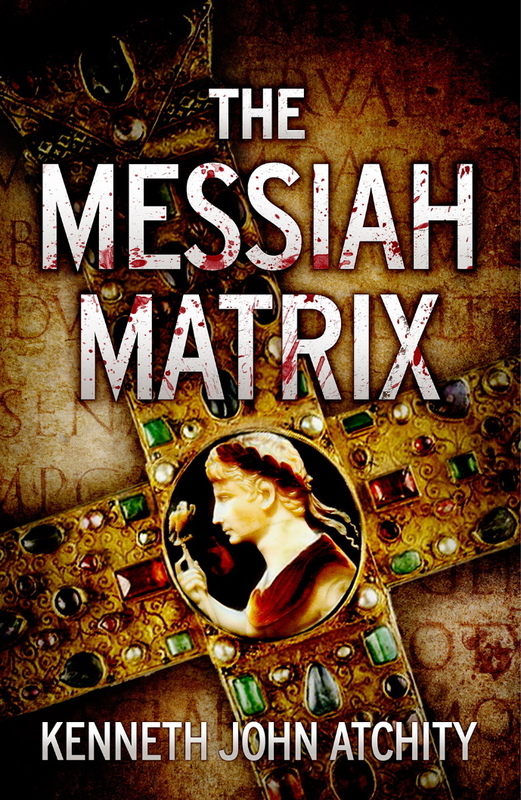 Yet, this imaginative tale far exceeds the talents of the popular Dan Brown novel with its insertion of authentic historical details and the unique, and unexpected climactic end. I was quite surprised at the imagination of Atchity. This fictional work can almost be deemed a clever attempt to re-write ancient history and undermine the authenticity of the biblical gospel and new testament. At minimum this book calls into question the authority and the credibility of the Christian church, and more specifically, the Roman Catholic Church. The inclusion of authentic and relevant details intertwined with fictional details, make this a clever piece of deception and this work may leave the uneducated reader who is less grounded in history, second guessing what he thinks he knows about ancient history and religion. Nominally religious readers may find they lose their faith altogether. The insertion of a look a like "Imprimature" on the book's spine may mislead some Catholic readers into thinking this is a religious book sanctioned by the church. I am fairly certain the bait and switch attempt to draw in the religious audience is not the author's intent. The ancient Catholic symbol of the Chi-Ro within the text, Latin phrases and the illustrations of actual ancient Roman coinage as well as fictionalized false coinage all serve to complete an aura of authenticity in selling this alternate "historical" reality to the reader. History as well as archeology enthusiasts will enjoy the vivid depictions of the sites, fictionalized ancient accounts, historical figures and archeological references in the various historical time periods and various ancient cultures. Josephus, the Roman emperors, Constantine, Herod as well as other ancient personalities are referenced. The non religious historical details, ancient philosophies and beliefs are educational as well as entertaining. This book presents a very interesting scenario of an alternate historical reality involving commonly known events in ancient classical history- namely Jesus, the ancient church and ancient Rome. The history student will find this book entertaining as an intriguing "what if" type of historical scenario. In light of all those apocryphal gospels such as the gospel of Thomas and the false works that allegedly claim to bring to light the infancy and so called "lost" years of Jesus, this book adds to the plethora of confusion, mystery and subterfuge surrounding the bible and church history. It even has its own gospel according to Augustus. I feel that the author's biases against organized religion- specifically the Catholic church is obvious in the writing details. For example, any reference to a Catholic sacrament included additional opinion as to its efficacy. For example as early as page 11, the author's opinion is introduced when he calls into questions the last rights offered by the priest in the statement that the absolution "may or may not have opened" the eternal gates. In otherwords, Atchity second guesses the effectiveness of the sacraments. Some religious Catholic readers who catch these subtle insults to their faith might take offense. The appendix or chart in the back of the book boldly equates biblical history as "Mythical" history. Actual historical events are set side by side with biblical events that he calls myth. Parallels and connections are made between the divine claims of Jesus with the Roman Caesar. Biblical concepts and spiritual phrases such as the "Keys to the Kingdom", "den of thieves", "loaves and fishes", "hell", "He is risen" and "Son of God" are reinterpreted with new meaning. Literal and practical interpretations replace the biblical, faith based meanings. The implication is that the gospels have been misread and misinterpreted, and there is another non spiritual explanation and that the Catholic church has been responsible for a cover-up fooling even sincere clergy as well as the faithful laymen. Nevertheless, the author is a talented writer, who puts together an intelligently written, researched work of fiction that will be sure to engage even the most educated reader. The extent of factual historical information might lose some modern day readers. Yet I feel the detailed historical elements adds to its value and richness as it transports the reader to ancient Rome. It is not surprising to learn that Atchity is a college professor. To give details as to the actual storyline and the historical scenario presented, would surely spoil the book's surprise for those who wish to read it. Therefore I find I have to cut this review short. It is sufficient to say that the author provides an alternate, non religious, yet interestingly literal interpretation of some faith based elements of biblical history. I can imagine the author bursting with excitement in anticipation as to the reactions of surprise that readers, as well as his professional colleagues - will certainly have when they get to the end of the story.